Please check any desire for censorship and your brain-to-mouth filter at the door. It’s a live internet radio show. 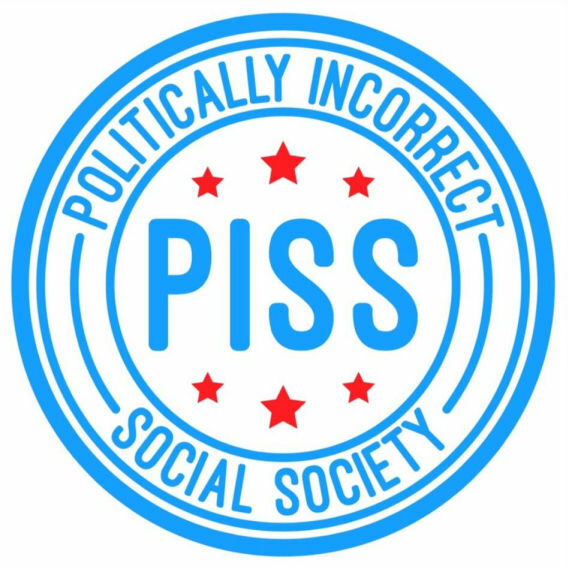 And our acronym is PISS. Does that give you any idea how just pissed off we know you are about something in this current crazy world of ours? PISS was created to engage everyone who wants a soapbox to stand on, who has a voice that needs to be heard – unfiltered, uncensored, in everyone’s face, and in their ear. In a society divided today on so many issues, we tackle those issues unafraid. From D.C. pundits to Twitter trolls, from activist professors to self-proclaimed kooks – and sometimes all one in the same – we invite you, in our fair and balanced way, call in and let ‘er fly! Raise holy hell on the air about the political hijinks and social maladies no one can agree on. We are heard on over 60 of the top internet radio networks in 119 countries. Hosted by Steve Britton and Bob Allen, with daily guest hosts joining the action. We cover the most popular trending issues as well as the most heated controversial topics. If you don’t like the way things are going, tell us about it. You’ll get your airtime – even if we personally think you’re full of cow chips!